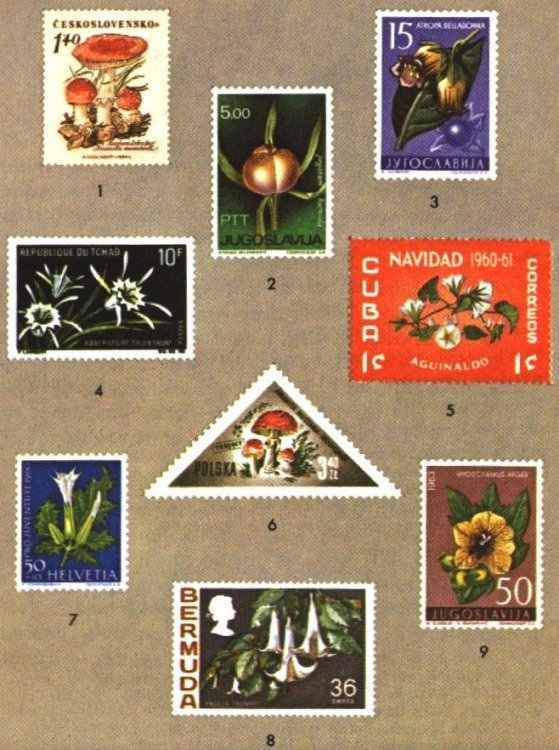 Hallucinogenic plants have been featured on many postage stamps: (1, 6) Amanita muscaria, (2) fruit of Peganum harmala, (3) Atropa belladonna, (4) Pancratium trianthum, (5) Rivea corymbosa, (7) Datura stramonium, (8) Datura candida, (9) Hyoscyamus niger. In his search for food, early man tried all kinds of plants. Some nourished him, some, he found, cured his ills, and some killed him. A few, to his surprise, had strange effects on his mind and body, seeming to carry him into other worlds. We call these plants hallucinogens, because they distort the senses and usually produce hallucinations - experiences that depart from reality. Although most hallucinations are visual, they may also involve the senses of hearing, touch, smell, or taste - and occasionally several senses simultaneously are involved. The actual causes of such hallucinations are chemical substances in the plants. These substances are true narcotics. Contrary to popular opinion, not all narcotics are dangerous and addictive. Strictly and etymologicolly speaking, a narcotic is any substance that has a depressive effect, whether slight or great, on the central nervous system. Narcotics that induce hallucinations are variously called hallucinogens (hallucination generators), psychotomimetics (psychosis mimickers), psychotaraxics (mind disturbers), and psychedelics (mind manifesters). No one term fully satisfies scientists, but hallucinogens comes closest. Psychedelic is most widely used in the United States, but it combines two Greek roots incorrectly, is biologically unsound, and has acquired popular meanings beyond the drugs or their effects. In the history of mankind, hallucinogens have probably been the most important of all the narcotics. Their fantastic effects made them sacred to primitive man and may even have been responsible for suggesting to him the idea of deity. Paramount among the hallucinogens of religious significance is the peyote cactus. 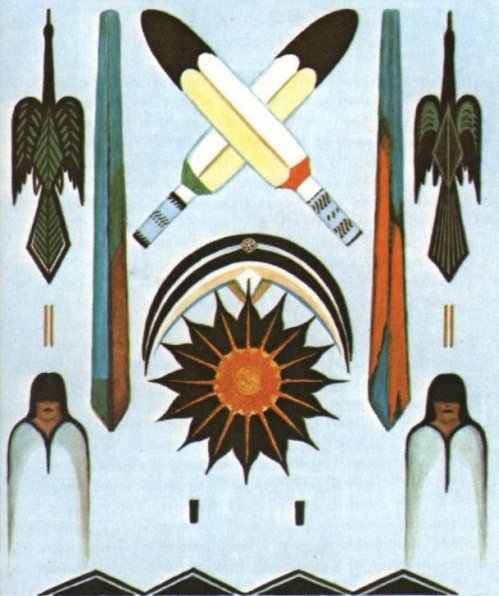 This illustration, called "Morning Prayer in a Peyote Ceremony," is adapted from a painting by Tsa Toke, a Kiowa Indian. These Indians are ritual users of peyote. Central fire and crescent shaped alter are flanked by ceremonial eagle feather fans; feathers symbolize morning, and the birds, rising prayers. 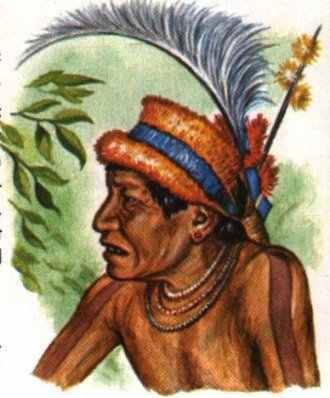 Makuna Indian medicine man under influence of caapi (ayahuasca or yaje) prepared from bark of Banisteriopis caapi. Hallucinogens permeate nearly every aspect of life in primitive societies. They play roles in health and sickness, peace and war, home life and travel, hunting and agriculture; they affect relations among individuals, villages, and tribes. They are believed to influence life before birth and after death. MEDICAL AND RELIGIOUS USES of hallucinogenic plants are particulaly important in primitive societies. Aboriginal people attribute sickness and health to the working of spirit forces. Consequently, any "medicine" that can transport man to the spirit world is considered by many aborigines to be better than one with purely physical effects. Psychic powers have also been attributed to hallucinogens and have become an integral part of primitive religions. All over the world hallucinogenic plants are used as mediators between man and his gods. The prophecies of the oracle of Delphi, for example, are thought to have been induced through hallucinogens. 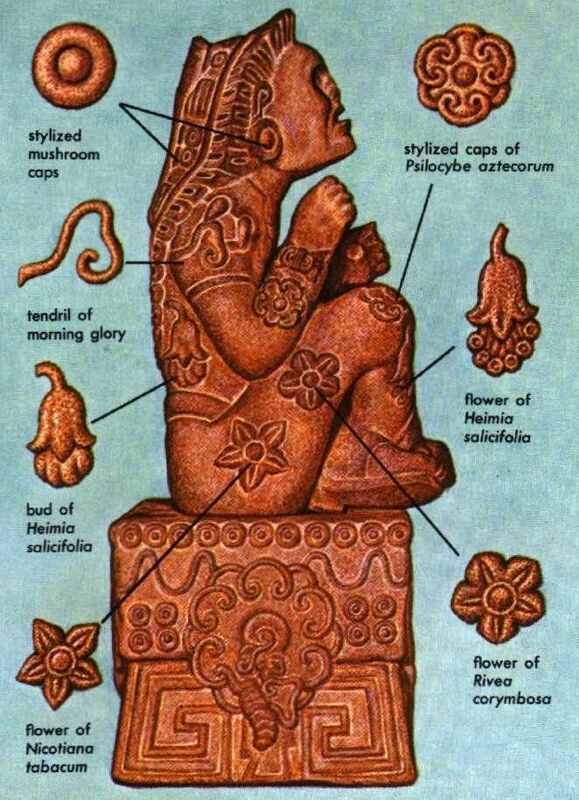 Statue of Xochipilli, the Aztec "Prince of Flowers." unearthed in Tlalmanalco on the slopes of the volcano Popocatepetl and now on display in the Museo Nacional in Mexico City. Labels indicate probable botanical interpretations of stylized glyphs. OTHER ABORIGINAL USES of hallucinogens vary from one primitive culture to another. 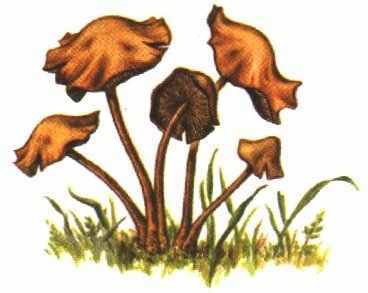 Many hallucinogenic plants are basic to the initiation rituals of adolescents. The Algonquin Indians gave an intoxicating medicine, wysoccan, to their young men, who then became violently deranged for 20 days. During this period, they lost all memory, starting manhood by forgetting they had been boys. The iboga root in Gabon and caapi in the Amazon are also used in such rituals. In South America, many tribes take ayahuasca to foresee the future, settle disputes, decipher enemy plans, cast or remove spells, or insure the fidelity of their women. Sensations of death and separation of body and soul are sometimes experienced during a dreamlike trance. The hallucinogenic properties of Datura have been thoroughly exploited, particularly in the New World. In Mexico and in the Southwest, Datura is used in divination, prophecy, and ritualistic curing. Modern Mexican Indians value certain mushrooms as sacraments and use morning glories and the peyote cactus to predict the future, diagnose and cure disease, and placate good and evil spirits. The Mixtecs of Mexico eat puffballs to hear voices from heaven that answer their questions. The Waikás of Brazil and Venezuela snuff the powdered resin of a jungle tree to ritualize death, induce a trance for diagnosing disease, and thank the spirits for victory in war. The Witotos of Colombia eat the same powerful resin to "talk with the little people." Peruvian medicine men drink cimora to make themselves owners of another's identity. Indians of eastern Brazil drink jurema to have glorious visions of the spirit world before going into battle with their enemies. Our modern society has recently taken up the use, sometimes illegally, of hallucinogens on a grand scale. Many people believe they can achieve "mystic" or "religious" experience by altering the chemistry of the body with hallucinogens, seldom realizing that they are merely reverting to the age - old practices of primitive societies. Whether drug-induced adventures can be identical with the metaphysical insight claimed by some mystics, or are merely a counterfeit of it, is still controversial. The widespread and expanding use of hallucinogens in our society may have little or no value and may sometimes even be harmful or dangerous. In any event, it is a newly imported and superimposed cultural trait without natural roots in Western tradition.